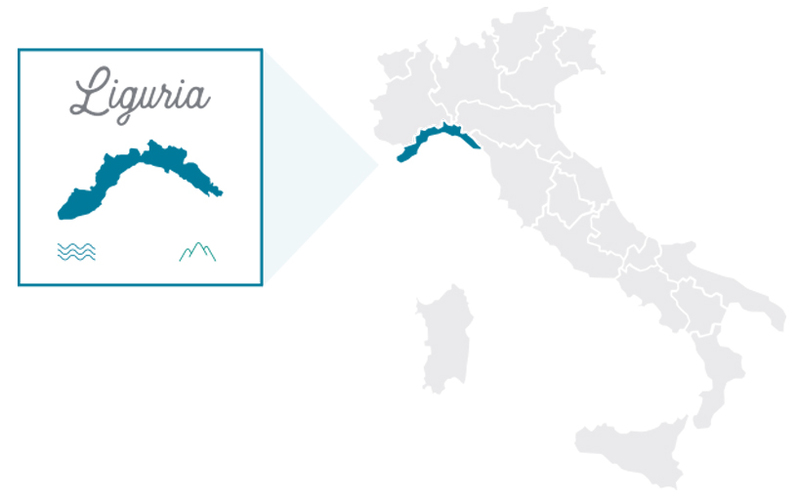 Liguria, one of the smallest and uncontaminated Italian regions is a landscape characterised by two contrasting factors: the coastal area (il MARE) and the inland mountain range (i MONTI) . With extreme differences in climate and way of life, each area has developed its own distinctive cuisine based on the local know-how and ingredients, reflecting to this day the wonderful spectrum of dishes that make Ligurian Cuisine so varied and unique as well as being one of the healthiest and balanced regional diets in the Mediterranean. Pure, nourishing dishes that reflect the deep link between the land and its people. The backdrop of steep mountains make up the other side of the region. In this extreme terrain..